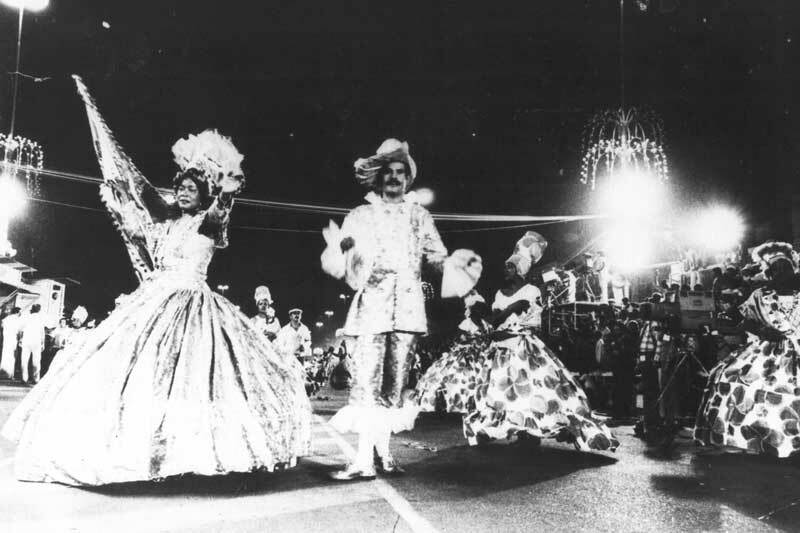 The history of the carnival has its origins in antiquity, being a traditional and popular party that arrived in Brazil during colonization. Carnival is the most popular festival celebrated in Brazil and that, over time, became part of the national culture. But Carnival is not a Brazilian invention nor performed only in this country. 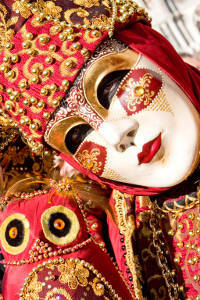 The History of Carnival dates back to antiquity, both in Mesopotamia and in Greece and Rome. The word carnival is originally from Latin, carnis levale, meaning removing the flesh. The meaning is related to the fasting should be held during Lent and also with the control of worldly pleasures. This demonstrates an attempt by the Catholic Church to frame a pagan holiday. In ancient Babylon, two feasts possibly originated what we know as carnival. The Saceias were a party where a prisoner took a few days the king’s figure, dressing like him, feeding the same way and sleeping with their wives. Finally, the prisoner was whipped and then hanged or impaled. The other rite was performed by the King in the days preceding the spring equinox, celebrating New Year period in the region. The ritual took place in the temple of Marduk, one of the Mesopotamian gods, where the king was losing its emblems of power and was beaten in front of the statue of Marduk. This humiliation served to demonstrate the submission of the king to divinity. Then he again assumed the throne. What was common in both parties and which is connected to the carnival was the subversive character of social roles: a temporary transformation of the prisoner in the king and the king’s humiliation against God. Possibly subversion of social roles in the carnival, as men dress up in women and vice versa, can find its origins in this Mesopotamian tradition. Associations Between Carnival and orgies can still relate to the Greco-Roman origin festivals such as the Bacchanalia (Dionysia, so the Greek). Parties would be dedicated to the god of wine, Bacchus (or Dionysus to the Greeks), marked by drunkenness and delivery to the pleasures of the flesh. There were in Rome the Saturnalia and Lupercálias. The first occurred at the winter solstice in December, and the second in February, which is the month of the infernal deities, but also of purification. These parties lasted for days with food, drinks and dancing. The social roles were also reversed temporarily, with slaves putting yourself in places of their masters, and those putting themselves in the role of slaves. But such celebrations were pagan. With the strengthening of its power, the Church does not look kindly parties. In this conception of Christianity, there was criticism of the reversal of social positions because, for the Church, to reverse the roles of each in society, it also reversed the relationship between God and the devil. The Catholic Church then sought to frame such celebrations. 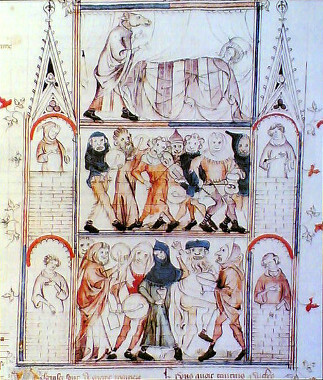 From the eighth century, with the creation of Lent, such parties started to be realized in the days before the religious period. The Church wanted to thus keep a date for people commit their excesses, before the period of religious severity. During the medieval carnivals around the eleventh century, the fertile period for agriculture, young men who fantasized of women go out in the streets and fields for a few nights. They said to inhabitants of the border in the world of the living and the dead and invaded the homes, with the acceptance of those who dwelt there, gorging themselves with food and drink, and also with the kisses of youth houses. During the Renaissance in Italian cities, came the commedia dell’arte, makeshift theaters whose popularity was until the eighteenth century. In Florence, songs were created to accompany the parades, which still had decorated cars, trionfi. Rome and Venice, the participants used the bauta a black hooded cloak that covered shoulders and head, and three-cornered hats and white mask. 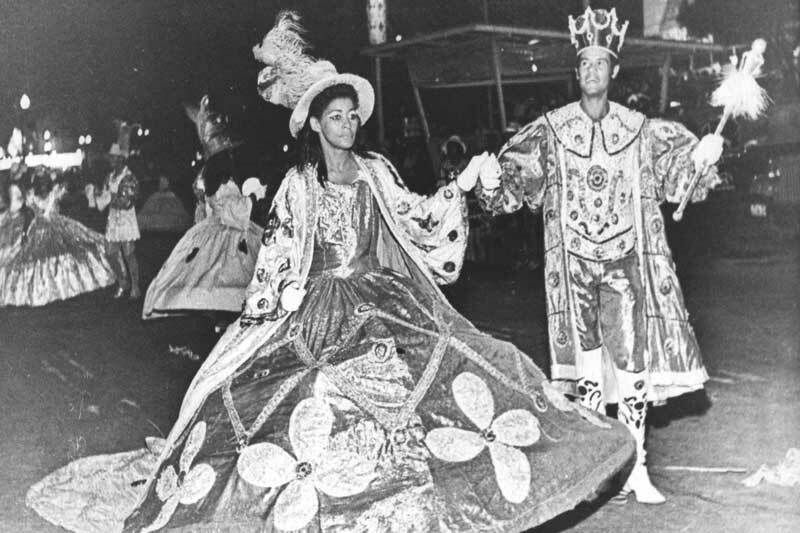 The history of carnival in Brazil began in the colonial period. One of the first demonstrations was the Shrovetide carnival, a celebration of Portuguese origin in the colony that was practiced by slaves. Then came the strings and ranches, the ballroom, the Corsicans and the samba schools. 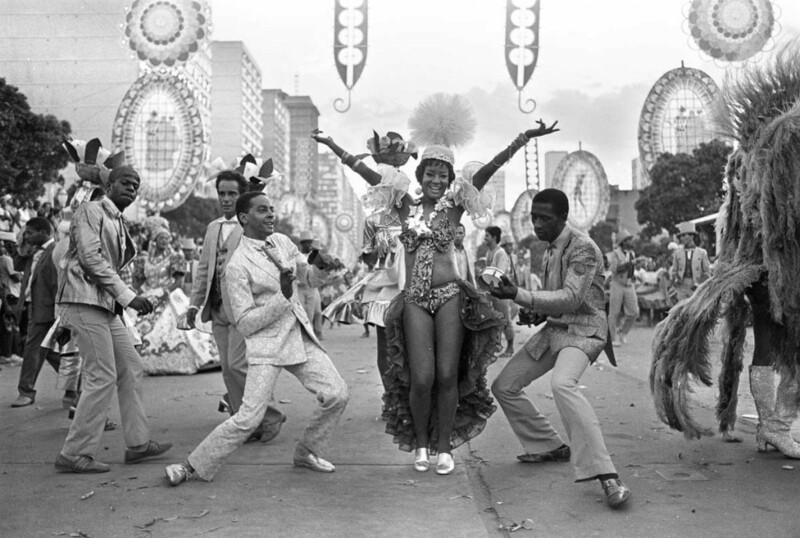 Afoxés, frevo and maracatu also became part of the Brazilian carnival cultural tradition. 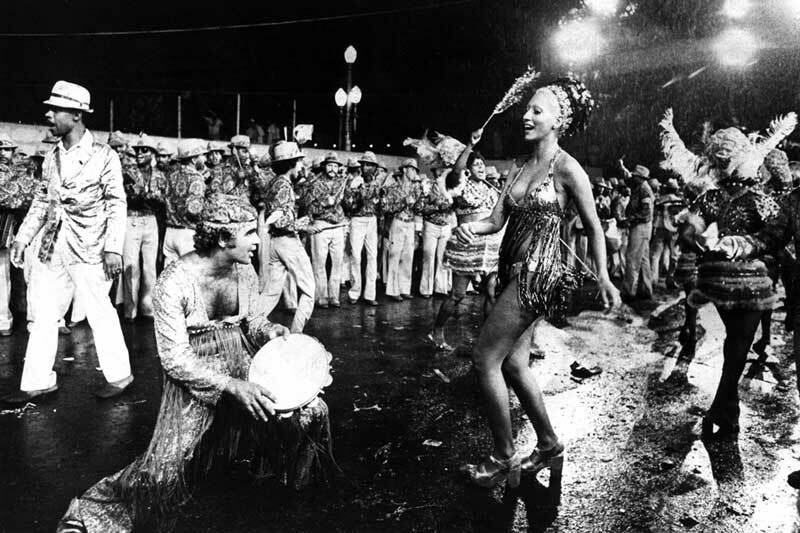 Marches, sambas and other musical genres were also incorporated into the largest cultural event in Brazil. How do you calculate the day of the carnival? This calculation was stipulated that there be no coincidence with the day of the Catholic Easter and that it did not occur the same day of Passover. So it begins with the spring equinox in the northern hemisphere, from it you need to know on which day will be the first full moon because Easter is celebrated exactly on Sunday after this moon. That is, it is known that the Tuesday of Carnival is one that precedes Easter in 47 days. In Brazil, the date is celebrated in the fall, then starts counting from March 21, the day of the equinox in the southern hemisphere.